It seems that no one does YULE better than the Celtic people, even though YULE roots are deep in all of Europe. YULE is celebrated between December 20 and 23, depending on the Gregorian calendar. We know that date as Winter Solstice. YULE is really a season of celebration in the middle of the darkness that has deep roots in many rituals. Think about it. When it is dark and cold outside and each day has been getting shorter and shorter with the darkness getting longer and longer, what better thing to do than party? A party to celebrate the turning point, knowing that from this date forward the day will begin to get longer again. The Celt’s made everything rich in tradition and ritual on this longest night of the year, forged with community bon fires, wassailing (singing and alcohol) and children were sent door to door delivering clove spiked apples and oranges. The apples and oranges were placed in evergreen lined baskets decorated with flour coated wheat stalks. The apples and oranges represented the sun, the evergreen lined baskets represented the strength of life, and the flour- dusted wheat represented the harvest and miracle of life. The druids went deep into the forest to harvest mistletoe, a symbol of the divine. A sprig of holy was placed at the door all year long inviting blessings. On YULE night the YULE log was lit as thanks to the sun for beginning to return the light. Every part of the YULE season and day were soaked in symbolic ritual. Do not let your YULE season pass by you as commercialized chaos, reclaim and redeem the energy of the symbol and celebrate boldly. Oh joy! It is the controversial word XMAS. 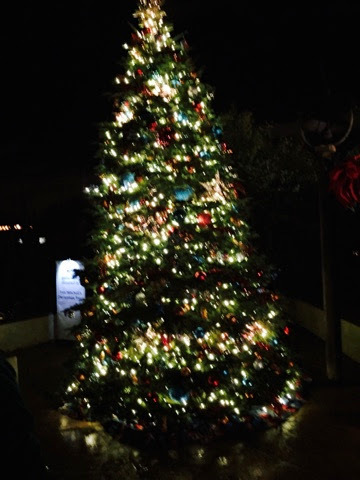 Many of my readers have probably heard the ongoing debate about using the word XMAS instead of the word Christmas. Fundamentalists are adamant about not taking the word Christ out of Christmas and replacing it with a pagan X for XMAS. Researching the history of the word XMAS was very educational. Religious scholars have written the word XMAS for years. X in the Greek language represents Chi. The word for Christ in Greek is Χριστος. 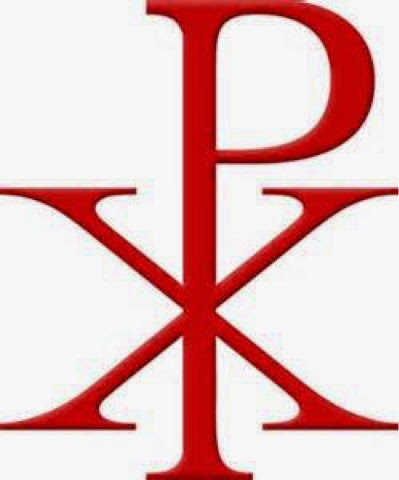 The symbol above with X and P has been used since Constantine’s time to represent Christianity. Early religious writers wrote in Greek and in Arabic. The X in Christmas represents Christ just as much as spelling it out as Christ. X was used for the word Christ long before it converted to the English word Christ. Thus, in celebration of XMAS this year can we let our arguments go by the wayside and enjoy the last few days of this holiday season? Enjoy the true spirit of connecting with each other that this time of year makes possible for us. Regardless of your faith tradition or decision not to choose a faith, XMAS gives us the opportunity to connect and reconnect with people we do not see on a regular basis. XMAS is a time of celebration of each other. Chi is the twenty-second letter of the Greek alphabet and Chi is also used as a Chinese word representing the life force that radiates throughout our body at all times. Let XMAS radiate through you this year. The history of the WREATH pre-dates Christianity by at least 1,000 years. It originated with the Romans and was worn as head- dress and placed on doors as a sign of victory. It meandered into Europe as part of the pagan celebrations of life during the cold and dark winter season. The WREATH was made of evergreen or holly representing the circle of life’s seasons and sturdiness of life. 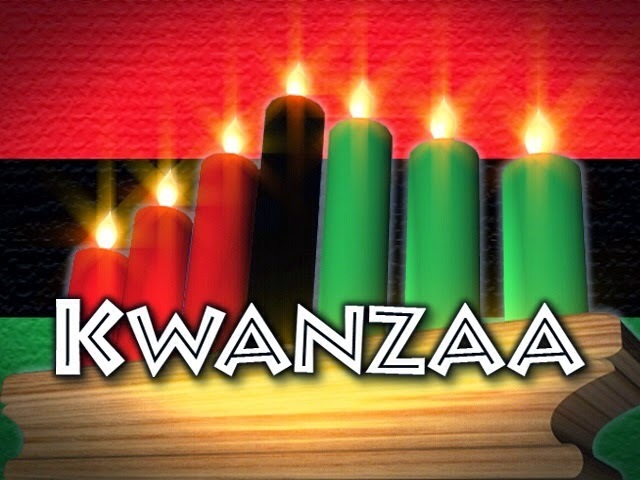 The WREATH was adorned with four candles representing the four elements, earth, wind, fire, and water. The WREATH served as a practicality giving light to the dark corners of the home as well as a symbolically reminding people that light would return and they were sturdy enough to endure. It was only after Christian’s co-opted the pagan rituals that the advent WREATH came into being. Also in Europe, WREATHS were used as a way of identifying one’s personal residence, similar to our street numbering system today. A European would say, “I am the house with the such and such WREATH on the door.” Thus this circle of unending life found its way into the everyday life of the people. 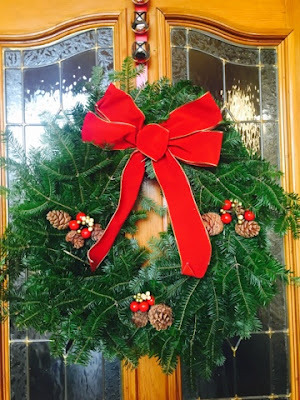 Do you have a WREATH on your door this holiday season? If so, how did you choose the one you have or did you make it? Think about the symbols you would like to have your WREATH represent. If you were to add one decorative item that represented something special to you this holiday, what would it be? Enjoy making your WREATH a bit more personal.